Columbus Stainless has the training opportunity to launch your career for the future. Have you passed Grade 12 / N3 with Mathematics (40%) or Maths Literacy (60%) and are you interested in being trained as an operator in a production field? Our state-of-the-art operation awaits you. Interested? 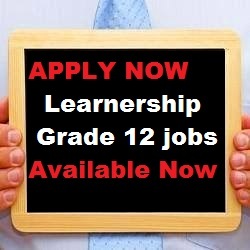 Send no more than one copy of your CV by e-mail to: learnerships@columbus.co.zaor fax: 086 695 1065. • Indicate clearly that your application is for the MERSETA Metals Manufacturing qualification as a Learner Steelmaker • Include copies of your qualifications • Indicate your preferred cell phone number for SMS communication.